My poem, Strength To Strength, originally published here on my musical website. Two Israelis were shot and killed in an attack in the West Bank on Friday, police said. The two were near Hebron Mountain, between the settlements Telem and Aduran, west of Hebron when they were shot, according to police spokesman Micky Rosenfeld. According to Israel Radio, the two were hiking through the hills outside Hebron with another woman when they were approached by a jeep carrying several Palestinian gunmen, who opened fire on them. The woman fled and hid while the other two, who were armed, returned fire. In the exchanges of fire that ensued, the two managed to hit several of the gunmen before being gunned down themselves. The effect of [religious - my addition] magic is limited according to your own belief and understanding of reality; so rigid is this law that it may be stood upon its head by the experienced magician to prove that understanding of reality is only limited according to the effect of magic. What must be emphasized in this context is that we are dealing with the genuine or true beliefs of an individual or group; what we assume we believe, what we think is our understanding of reality, and what we actually do believe, are often radically different or even contradictory to one another. One of the effects of magical training is to fuse these two levels of belief and understanding into one balanced conceptual model ... a model that is open ended and without specific limits. During the early stages of magical development and training, in which the individual is often emerging from a period of skepticism or anti-religion, this conflict is very apparent. The law of belief in magic is not merely a matter of auto-suggestion, credulity, or self-reinforced delusion; it runs far deeper than such superficial manifestations. In old fashioned terminology it is one of the great secrets of the universe, taught as 'be what thou wilt, if thou knowest thy will truly'. Our history is full of sciences, achievements, even empires, built upon systems, practices and beliefs now known to be false, yet such systems worked very well for those who believed in them. This was not due to delusion on the part of the believers, but because the power of belief is more potent and active than the object or system believed in. Expressions or forms change ceaselessly, but consciousness is eternal, and has an enduring seed of stillness at its core. Bhutto was killed Thursday when a suicide attacker shot at her and then blew himself up as she left a rally in Rawalpindi. Authorities initially said she died from bullet wounds, and a surgeon who treated her said she died from the impact of shrapnel on her skull. But Cheema said she was killed when she tried to duck back into the vehicle, and the shock waves from the blast smashed her head into a lever attached to the sunroof, fracturing her skull, he said. A colleague of mine also fractured her skull this week, Monday morning. While Bhutto died, apparently now from her fractured skull, my colleague did not and her prognosis is good today. Thank Goddess. Baruch dayyan emet. Blessed is the True Judge. Yet, I am left to wonder why the run of fractured feminine skulls in the cosmos before my eyes this week? Why am I one willed to see as opposed to two fractured be? The spinal cord injury originally reported to be Bhutto's fatal wound corresponds to the sefirah da'at. The fractured skull, as now reported to be the fatal wound, corresponds to the sefirah keter, the internal aspect of da'at. Kabbalistically, keter refers to the "origin of will". Today's news of the assassination of former Pakistani Prime Minister Benazir Bhutto reminded me of a dream I had in March of this year about a strange woman trying to demoralize me by telling me that major world war would be ignited by Pakistan. I think that message and her vision of tomorrow bit the dust today. The dream I had last night was a rather low level dream. 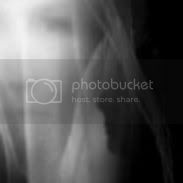 Nevertheless, one character's presence in the dream was so "out of place" within the dream, as was the message in context of the content of the dream, that I am going to document what the strange woman reported to me within the dream. Major war is coming soon, maybe as soon as tomorrow. The war's formal initiation involves Pakistan in some way. 1. She eyed my father as she spoke to me in the presence of my mother in the dream also. Hmmm. 2. Her implication while telling me this message was that all my attempts to order and fix the lives of myself, my children and my grandchildren were futile because war was coming soon. May political correctness never blind us to danger. During our lifetime, we are supported and enabled by a cord. This is, of course, the spinal cord without which nothing could happen in our manifest existence. While the cord of the womb gave sustenance before separation, the cord of the spine gives individuality and operational potential, and the practical ability to move in the individual's separate and manifest life. The Cord of Individuality manifests with the spinal cord as a central core. From there it manifests through the many associated cords and connections of the body that all link into the spinal cord from which they receive their complex instructions that enable life to function in time, space and movement. There is another aspect to this Cord of Individuality, which is transpersonal, and may arise over many lifetimes. We will return to this when we explore ideas about the Cord of Continuity, and the concept of continuity between lives. In this preliminary outline we can recognize this transpersonal quality of intense individuality when we see, or live, dedicated lives that seem to have a strong direction, be it in the arts, sciences, spirituality, or any other field of activity. RAWALPINDI, Pakistan — Pakistan's paramilitary forces were on red alert Thursday following the assassination of opposition leader Benazir Bhutto. The former prime minister was murdered by an attacker who shot her in the neck and chest after a campaign rally and then blew himself up. Her death stoked new chaos across the nuclear-armed nation, an important U.S. ally in the war on terrorism. A doctor on the team that treated her said she had a bullet in the back of the neck that damaged her spinal cord before exiting from the side of her head. Another bullet pierced the back of her shoulder and came out through her chest. She was given open heart massage, but the main cause of death was damage to her spinal cord, he said on condition of anonymity because he was not authorized to speak to the media. Read full story at link above. Read more about the spinal cord as the middle cord of life here. The photographer who took images of former Pakistani Prime Minister Benazir Bhutto moments before her assassination Thursday told CNN he was "surprised" to see her rise through the sunroof of her vehicle to wave to supporters after delivering her speech. "And then suddenly, there were a few gunshots that rang out, and she went down, she went down through the sunroof," he said. "And just at that moment I raised my camera up and the blast happened. ... And then, of course, there was chaos." I don't own a television and haven't for several years. I don't feel television is morally "wrong" - I do watch a few selected shows (Planet Earth is awesome) or movies on the televisions of others at times, but for myself, I don't own one. I don't watch it enough to make owning one worthwhile. I enjoy silence and have a real physical aversion to senseless noise. If you are serious about your spiritual/magical work, television is your enemy. Real magic involves rectification and elevation of the imagination. Television, when not used judiciously, works against achieving this. Earlier this evening I posted a few entries pertaining to the kabbalah of my new concave black skrying mirror, noting in one of the entries (Mirror Magic) that a concave mirror (as described by Wiki) is "where a parallel beam of light becomes a convergent beam, whose rays intersect in the focus of the mirror" and that the mirror rests upon a bed of letters symbolizing the concept of yovel (jubilee). The graphic collage I used to illustrate that entry is the left (first) image shown above. The right (second) image next to it was (later this evening after my entry was posted) shown on Foxnew's online frontpage (until they changed to a different image consisting of a row of power lines and headlights in a blizzard). Brought together this Shabbat of Yule, the period of the winter solstice occurring this year on the day of shabbat - The Kabbalah Of My Magic Mirror. It looks like a storm of criticism, and an investigation into a possible hate-crime were more heat than the defiant Mayor wanted to deal with. Mayor Carucci claims that the incident with the Pentacle was mere vandalism, but John and April Garlow, who erected the Pentacle, claim there were threats made against them. Read Jason's entire report at the link above. I agree with the general concept that energy dynamics are part of any mystical-magical initiatory process, and that the "initiation energy" needs to be integrated and processed by the student-initiate, who is more likely than the teacher-initiator (who also must integrate and process the initiation energy) to not be able to handle as well as the more experienced teacher the newly released energy born of an initiatory process. For example, when I returned to Torah in 1996 and went to the mikveh, part of the ritual involved a release of energy possibly catalyzed through the blessing of the Kohen who "initiated" me. Nevertheless, I don't think initiation energies are simply transfers of energy from teacher to student. I think the release of "initiation energy" involves the creation of a circuit of energy. Necessarily, both the teacher and the student participate in its creation. This is why some initiations fail - the initiation isn't a one-sided transfer of energy, it's a circuit in which the consciousness of both teacher and student participate. Without the wholehearted participation of both the student and the teacher, nothing happens. The dynamic of energetic circuits is also why "when one blesses, one is blessed." This kabbalistic teaching pertains to a mystical-magical initiation process. (Olean, NY, December 11, 2007) - - Police in Olean are investigating the vandalism of a holiday display. Police say someone opposed to a Wiccan pentacle decided to express his or her opinion by running it down Monday night and then sped off into the night. Olean Mayor David Carucci says the vandalism happened around 10:15 last night. "Someone has backed up over the curb and run over the pentacle," Carucci told News 4. Police, meanwhile, are treating it as a hate crime. "We're going to be treating this as a hate crime," said Olean Police Chief Terry Schnell. "This has gone far too long, this is getting ridiculous." The pentacle stood only a few feet away from a nativity scene that sparked a public debate about the separation of church and state. Read full article at link above. Yule, the winter solstice observed by witches, is traditionally December 21-22. Question - does the Dark Moon always fall on the fifth of the eight days of Chanukah? It did this year. I've found a phrase which describes the phenomenon where news items seem to reflect in a similar manner dreams I've had immediately preceding the "news event" - the dream Peace Talks and the murder of Sean Taylor, for example. That phrase is apopsi anti-psi deflective filtering. Anti-psi is a categorical term for psi talents that operate primarily by affecting other psi talents. Several of these anti-psi talents seem to involve the generation of certain psi fields  to alter the content, directon, or power levels of other psychic energy fields. Catapsi is the generation of a psychic field of "static" in order to disrupt the data of other psychic energy fields. Similarly, splodging is a kind of psychic yelling meant to drown out competing data. Apopsi is the generation of a field into which other psi fields cannot enter, possibly accomplished by changing these other fields into other forms of energy or apporting them elsewhere. Deflection alters the directions (force vectors) of incoming psychic energies and sends them elsewhere; if they are reversed 180 degrees, the talent can be called returning or reddopsi. Negapsi, or inverting, is the generation of a psi field in which all or most of the information content (data) of an incoming psychic field is reversed, thus turning creative energies or blessings into destructive energies or curses, for example. Filtering is the ability to use apopsi or deflection selectively, thus allowing only certain portions  of an incoming psi field to come through. The talent for boosting energy fields is called amplication , and dampening for lowering them (also called amping or damping). The various anti-psi talents can be very useful if you have them under control, for both attack and defense purposes. Anyone who has ever been psychically attacked will know what a miserable condition it can be . There are indeed such things as psychic attacks, though conditions of real disease or hypochondria and paranoia are often responsible for illusions of psychic persecution. Attacks usually take the form of a general feeling of unease, nausea, pain in the pit of the belly, and a definite lack of self confidence. You literally want to crawl into a hole and die. In nine cases out of ten, the attacker will be in your immediate vicinity, and s/he may not be aware that s/he is attacking. How can you defend yourself? If you can master types of anti-psi, you can use (these) as well (for defense). Now I have a name for what is happening. I also have begun to specifically identify some of my naturally developing "psychic" talents for influencing energy fields. Perhaps it is some sort of psi field that has been affecting the function of my electromagnetic windchimes as described here. For example, selectively allowing a dream vision of an approaching malevolent psi field that has been directed at me, while simultaneously selectively not allowing physical manifestation of its malevolent energy into my life. See amplification of divine shabbat consciousness. Yes sir, I can indeed vouch that this is true. MIAMI (Reuters) - Tipped off by the public and armed with a confession, police in Florida arrested four young men on Friday for the murder of Sean Taylor, a star defensive player [#21] with the National Football League's Washington Redskins. 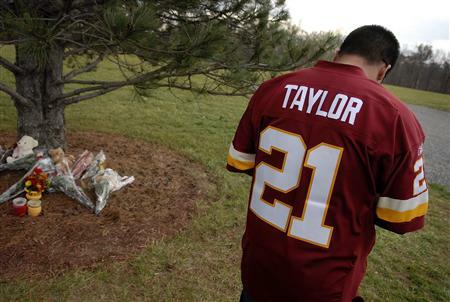 Taylor, 24, who was the Redskins' first pick in the 2004 draft, was shot in the groin area during a home robbery on Monday, resulting in a severed femoral artery. He died the next day in hospital after losing massive amounts of blood. The four men, aged 17, 18, 19, and 20, were arrested after tips led police to them in the Fort Myers area on Florida's Gulf coast, a police spokeswoman said. Police said the men intended to burglarize Taylor's home on the other side of the state and had not expected to find anybody there when they broke in. Police and family friends say Taylor and his fiancee were awakened by noises in the middle of the night and Taylor was shot in the groin when his bedroom door burst open as he went to lock it. He had grabbed a machete to defend himself while his girlfriend hid with their 18-month-old baby beneath the bedcovers. The hard-hitting safety had five interceptions this season but had been sidelined the last two weeks with a leg injury. In my dream Monday, with my back to the shooter, I had not seen the first shot toward my "Kaf Ha'Yareich". With no weapon (machete) in my hand nor ill-will (zayin hara) in my head, I did not "connect" with the single bullet I did not see. My connection is through another one. Understand this. MIAMI — The family of slain Washington Redskins star Sean Taylor will get little comfort from the arrest of four suspects, a family friend said, particularly since it appears the killing happened because of greed. "They targeted him for his wealth," said Richard Sharpstein, Taylor's former attorney. "It makes his death even more pathetic, unnecessary and just actually disgusting."